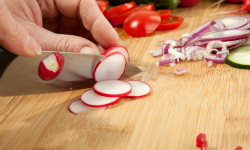 To slice a vegetable, hold it onto a chopping board with one hand whilst using a knife to cut it into disks. 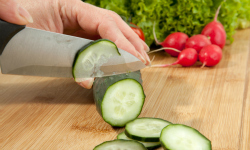 These can be cut very thinly or fairly thick but all pieces should be the same width. 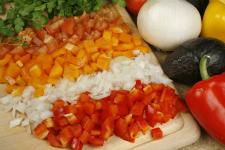 Diced vegetables means to chop them into cube shapes so that they cook evenly. 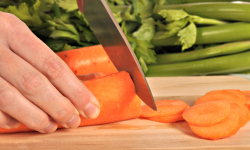 If there are different vegetables in the same recipe, they should all be cut to the same size and sometimes the recipe might even say what size this should be. 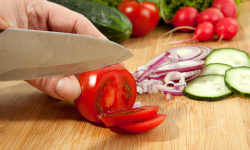 To dice vegetables, first cut them into long battons then cut these into small cubes.